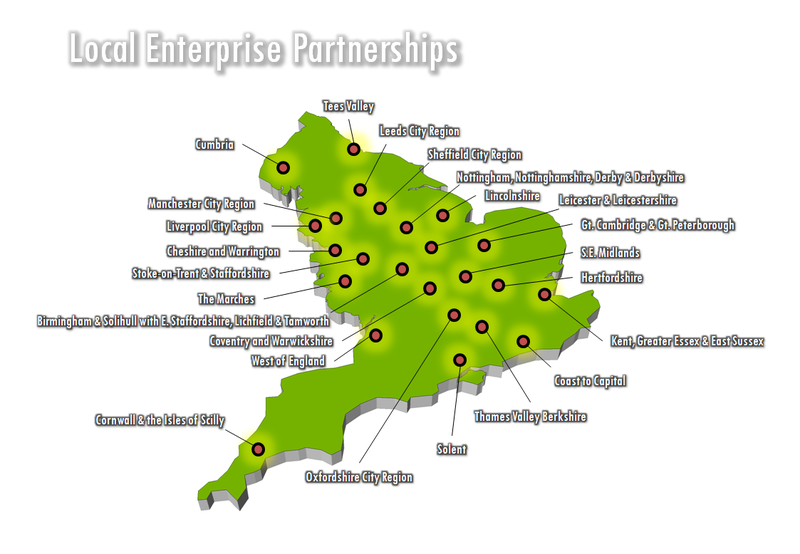 In my previous post about Local Enterprise Partnerships I noted that 56 applications had been put forward to BIS/CLG (note here that BIS said they had 62 responses to the invitation to form LEPs but CLG said that 56 proposals were received). There have been some significant developments since then... The publication of the Local Growth White Paper yesterday formally introduced the Regional Growth Fund and states that RDAs are to be shut down by April 2012. This was not really news though. What was new was the announcement of the 24 areas which have been asked to form the first wave of LEPs (see below - click on image to view full size). You can find more detailed maps of the areas here and on page 39 of the White Paper. I just made the image above because the official maps are a bit muddled/confusing. Some LEPs cover very large areas with many local authorities included (e.g. Kent, Greater Essex and East Sussex), some cover few local authorities but large areas (e.g. 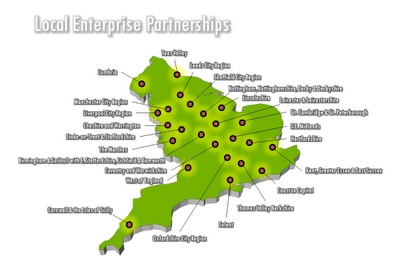 Cornwall and the Isles of Scilly) and many others cover local authorities in city region areas (e.g. Liverpool City Region). Some of them will no doubt come up with snappier names than they have at present although 'Coast to Capital' is the early front-runner for best name. Large parts of England are covered by first wave LEPs (e.g. West Midlands, North West) and the striking thing from the detail of the White Paper is the difference between the Regional Growth Fund and the level of RDA funding previously available. Other sources worth a look are the Analytical paper on sub-national growth (SERC obviously a major influence here), details of the Regional Growth Fund (in a nutshell, £1.4bn over the three years from 2011 to 2014) and the remaining links at the bottom of this page. 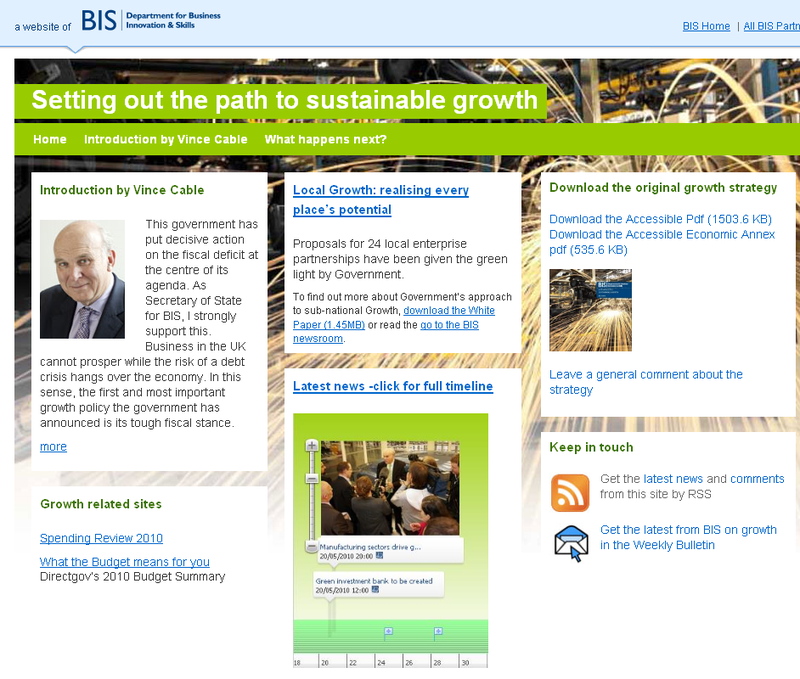 There is also a new BIS website on 'Setting out the path to sustainable growth' introduced by the author of the 'one-eyed smile' (see the bottom of this document to understand what I mean).